With the Christmas countdown truly underway, it's time to pick up and purchase all of the lovely gifts you will be popping under the tree for your little ones to open this December. 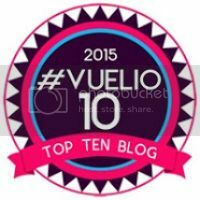 Whether they prefer beauty and dolls or construction and crafts there is something to put a smile on any face with my ideas below. The latest doll from Zapf Creations has 8 life-like functions including eating, drinking, using the potty, sleeping and crying for great role play fun. Each (there are different coloured bodies and outfits available) comes complete with a variety of accessories (1 hat, 1 plate with spoon, 1 bottle with lid, 1 potty, 1 dummy, 1 nappy, 1 portion of porridge, 1 friendship bracelet each for the child and the doll, 1 birth certificate) and is great for developing imaginations and social skills. Representing a newborn baby the dolls are perfectly proportioned and light enough for your little ones to carry about with ease. The accessories are chunky and easy to grip and no batteries are required which is definitely a bonus. The doll's eyes will shut when laid down and reopen once placed into a seated position and the belly button can be pressed to activate the toilet mode. The price really includes everything required for a game of mums and dads! This is currently on offer at Amazon for £29.99! There are several extra accessories available for your Baby Born which include slings, sledges, biker seats and even a wash basin to clean the doll after it uses the potty or feeds. 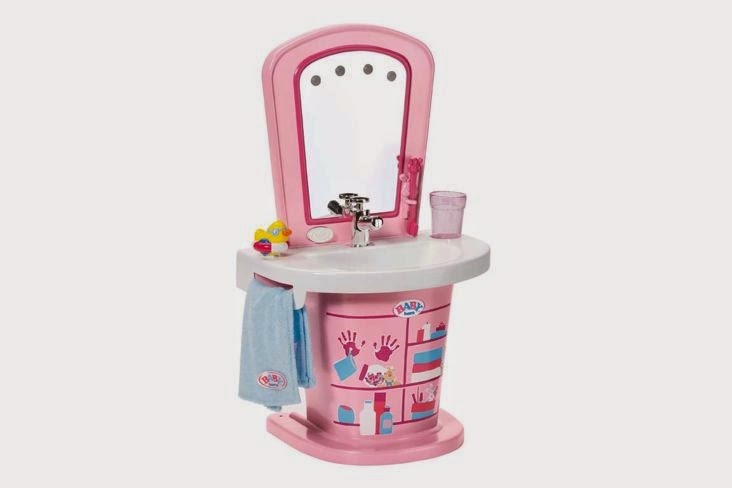 It is a great way to teach young children the importance of personal hygiene and the button under the mirror activates noises and lights when pressed which makes it an exciting piece of equipment for children to use. They may even want to brush their teeth or clean their faces at the same time! Water can be added and when the tap is pushed the pumping action will help it to flow into the sink. When the cup is removed from it's place gargling sounds will play and there is a cute little duck which can be used as a toy or placed in the basin as a plug too. Everyone can be dried with the soft towel that is provided before it is placed tidily on the hanging rail until next time. This is a sturdy and great quality product to extend the collection and goes nicely teamed with Baby Born. This combines sweet treats and an activity in one set and it will provide a great sense of achievement when your little ones can eat their own creations! 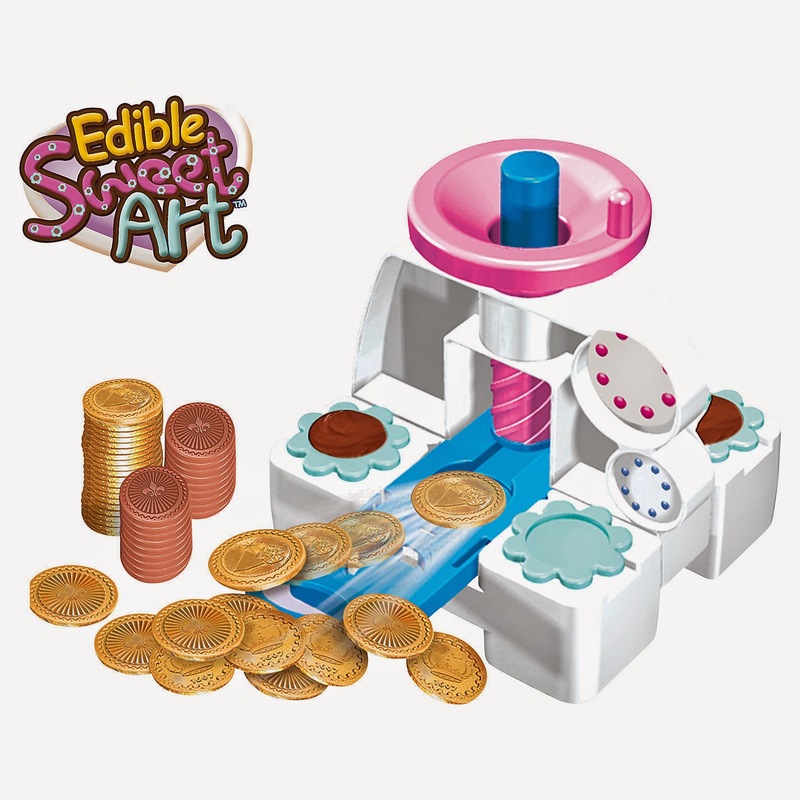 The set includes everything you need to make your coins from the chocolate, moulds, foil and press to the red net that is used to present the finished products. It is a really simple and quick way to make some homemade gifts for friends and family throughout the year (or for yourselves). Adult supervision is required to add warm water to the base but otherwise the process is very easy for your child to complete from start to end. Once the water is added the moulds can be put in place with chocolate inside where the heat will slowly melt it into shape. Once chilled in the fridge and set completely the discs can be removed and wrapped in the foil using the press before eating. Delicious! The Inch Blue range of footwear is great quality and affordable - you really don't need to compromise on design and comfort when paying lower prices for shoes! The penguin motif matches the weather and season well but there are many other styles available also to suit every taste. These are suitable for newborn to preschoolers feet and you can even opt to have them gift boxed which certainly saves the hassle at an already hectic time of year. Hand made in the UK, each pair is created with soft leather to allow tiny growing feet to breathe and the fit is lovely due to the elastication around the ankle area. I have tried these before and have been very impressed. This range of figures from Flair is based upon the popular movie release from earlier this year about 4 well known heroes in a half shelf. 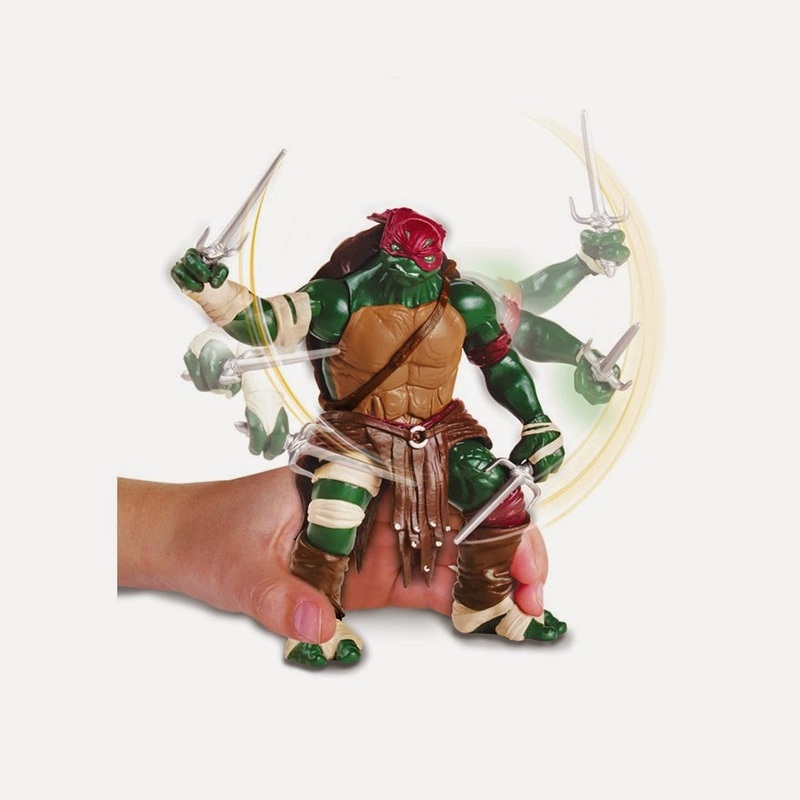 Each figure, which is suitable for children aged 4+, has an action with Raphael moving his arms and spinning his weapons when his legs are squeezed together. There is also Michelangelo with his terror twist nunchuck, Leonardo with his quick cut katanas and Donatello with his smack-down spinning staff to add to your child's collection. Jamster is such a huge TMNT fan and these will be great for him this year. After Robo Fish was such a success, Zuru have now created the water activated robo mermaid which would make a fantastic stocking for Christmas! The tail on each automatically swishes back and forth when submerged, just like a 'real' mermaid, and there are plenty of batteries included enabling each to swim on and on. If you wish for the mermaid to swim in different directions (vertically and horizontally) you can simply adjust the metal band (supplied) into a new position to do so. 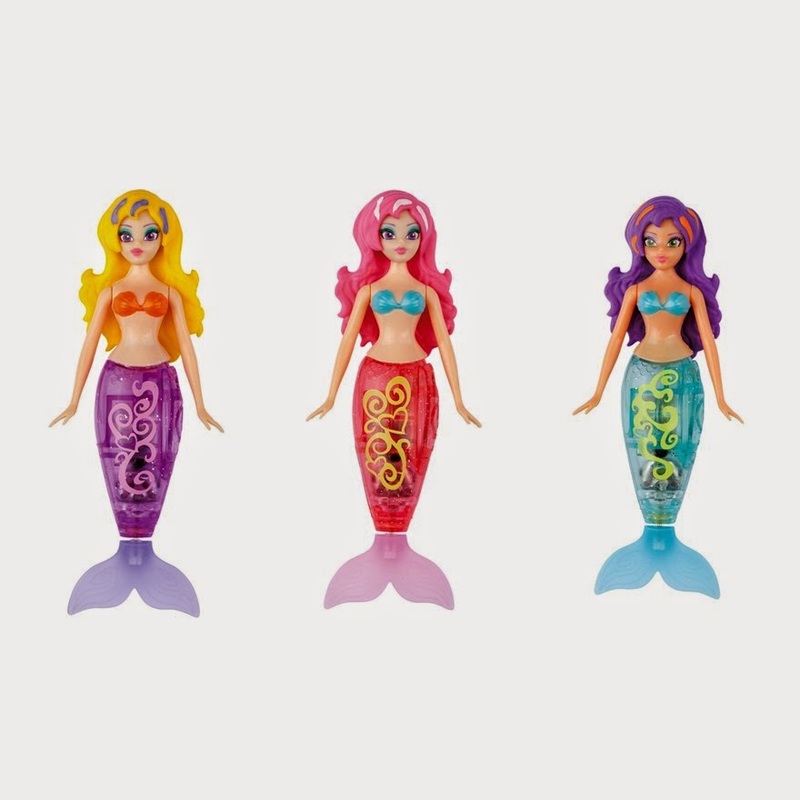 There are three mermaids to choose from, each of which has it's own unique image, Pearl, Shelly and Cassie. These brightly coloured and beautifully scented figures are great value. Teamed with some really pretty accessories (including clips and a brush) your little animal lover will enjoy grooming their new toy while learning through play. There are four in the range; Pinkmelon, Tangerine, Pina and Jamberry all of which have a wild, spaghetti like mane and tail plus a different fruity fragrance. 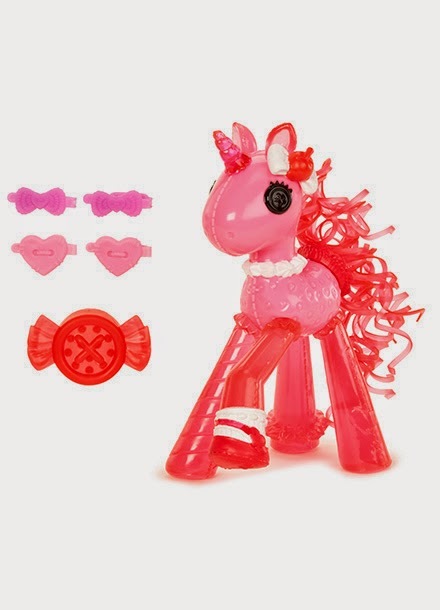 They make great pets for the Lalaloopsy dolls. Soft toys are loved by all and when you can create your own in store it makes the whole experience of receiving a lot more exciting! 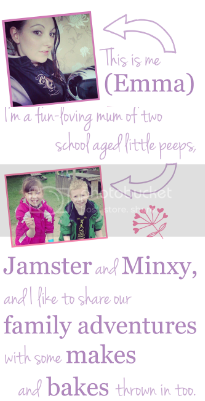 There are traditional bears, elves, Olaf, reindeer and many more characters which you can design and personalise. If you want to purchase one you can treat the kids to a visit today or if you prefer, you can have one delivered to wrap up for the special day itself. There are so many to choose from and you can add outfits, beds, sound boxes and other accessories to make it a really special gift. 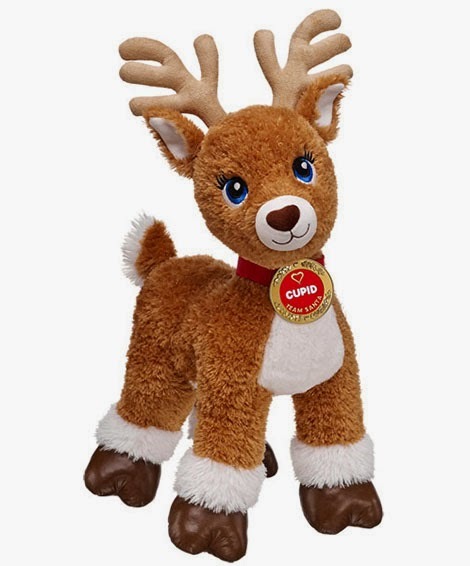 The fur is soft and they are are perfect for warm hugs. 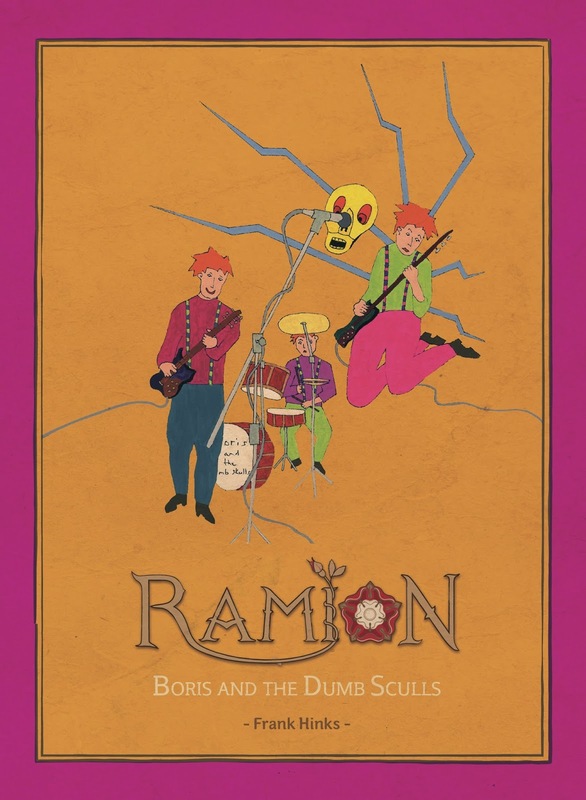 Aimed at children over 7 years of age, this book is the 16th in the Ramion collection from Frank Hinks and was released in October. It follows the adventures of Griselda the witch and her pet skull who has teamed up with the dim daft dwarves to form a rock band. We have just finished reading the story and the Mini Mes found it both funny and interesting - it is certainly different to anything we have read before with some rather quirky illustrations to go with it. Full Synopsis: Griselda the witch has been drinking too much evil spirit. Boris her pet skull and the dim daft dwarves are fed up of being bullied by her. They decide to form a punk rock band and seek fame and fortune. But just before they leave for their first gig two of Griselda’s dead ancestors break out of their glass tanks beneath the ruined tower. Fifi Vicomtesse de Grunch is very keen on dancing. Her husband the Vicomte expresses his feelings towards Fifi’s dancing partners with a spanner. Not surprisingly the boys’ father comes to regret dancing with her. When Griselda arrives at The Polhill Arms to reclaim her property (Boris and the dwarves) things do not work out as she expects (perhaps even Griselda is not totally beyond redemption), but unfortunately the evil spirit is still working inside her: it has not forgotten her ghastly plan of how to fill the larder. This range of products is based around a dog duo, named the 'Do Good Dog Clan', which consists of a black Cocker Spaniel named Peggylicious and her cheeky companion, Archie, a Tibetan Terrier. The pair help children through difficult times and the three books so far are a great read, with another to follow in the new year. Coming Home tells the story of Peggylicious meeting her family and Archie for the first time, Lost in the Woods sees the Do Good Dog Clan help a group of children that can't find their way and Bear Comes Home for Christmas is the latest edition in the series where the dogs rescue a teddy bear of a small boy on Christmas Eve to save the day. 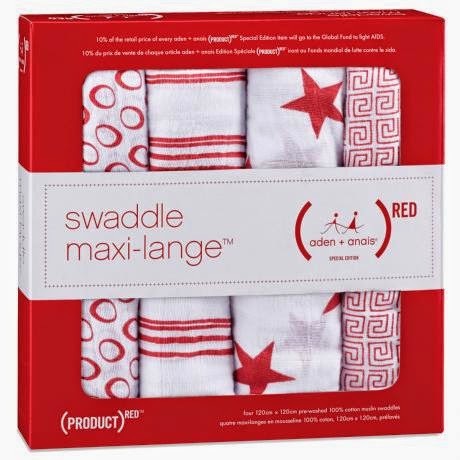 Swaddles are so useful to have in the home where little ones live as they keep tiny toes snug all winter, can wipe up mess with ease and comfort newborns. This set of four in a lovely shade of festive red, are 100% cotton and pre-washed. The fabric is breathable and soft and they are a generous size to meet all of your parenting needs. Aden + Anais has partnered with (PRODUCT)RED and each pack purchased can provide life-saving medicine to help prevent the HIV virus passing onto their child. This is great to know during the season of goodwill. This incredible construction set from LEGO Duplo will provide hours of fun for both the young and young at heart! Children can develop their fine motor skills, learn about shapes and colours and let their imaginations run wild as they build the Batcave and play with the two action figures included. 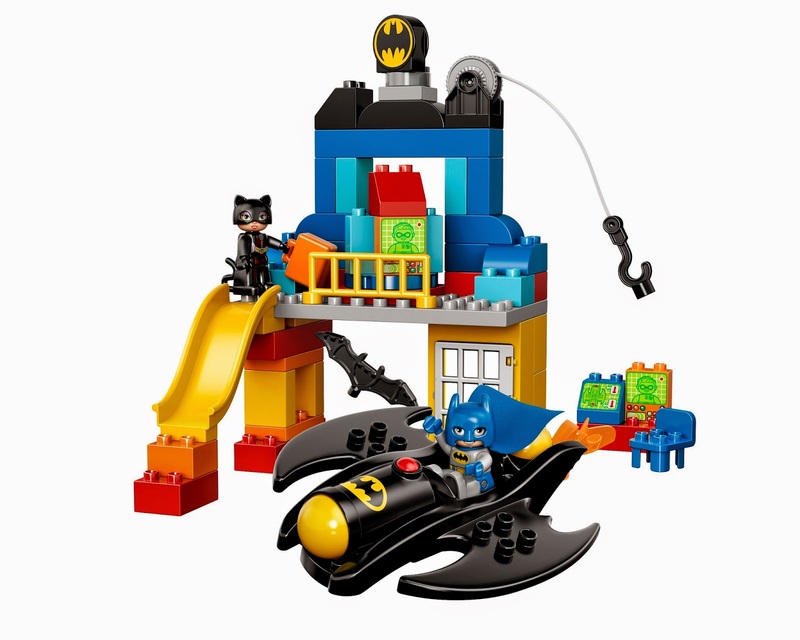 There are 59 easy to build pieces in total which create a Batcave complete with slide, window and rope to capture Catwoman with ease and even the Batwing vehicle allowing Batman to zoom off in a hurry when needed. This is a great gift for any DC fans this Christmas and Jamster has had such fun playing with his own. 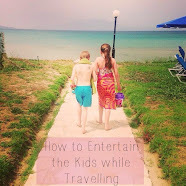 This is suitable for children aged 2-5 but I can see the parents wanting to pay with this too! Most girls would love to be a princess and these great value products from H&A will certainly help them to feel magical this season. The Beauty Treasures set includes a seashell lip balm, sparkle hair clips, stick on earrings and a beaded charm bracelet to transport your child under the sea with Ariel the mermaid and the Fizzy Bath Tints will create multicoloured water in the tub to splash around in. For the little Elsa and Anna fans, there is the Frozen Shimmer Polish with a glittery pink lid for pretty nails. The amazing formula has been created with children in mind and it can be peeled off when necessary with very little bother - bonus! Minxy adores this range and she also has her eye on the Minnie Mouse and Me to You collections for her stocking too. Available from Wilko, Boots and some supermarkets. 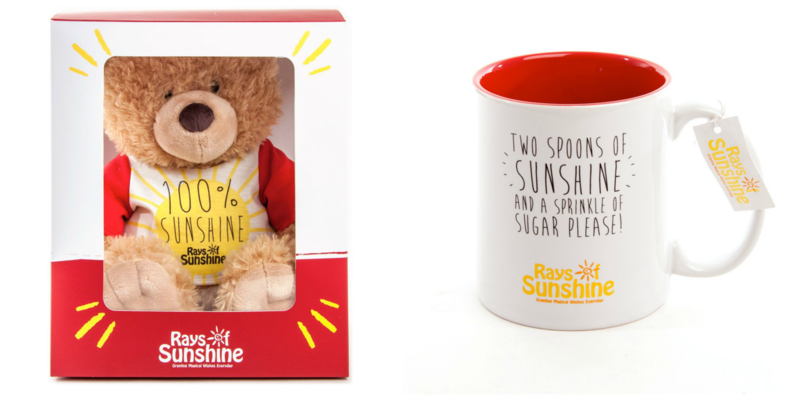 If you would like to do a little bit to help others this Christmas, this range of gifts donates 20% of the proceeds to the Rays of Sunshine charity, which formed in 2003 helps children aged 3-18 with illness to have their wishes come true. The mug has positive wording to brighten anyone's day and it is safe for the dishwasher or microwave making cleaning and heating drinks up a doddle. Ray the Bear wears a colourful top and comes in his own little box to store him away safely or carry him around on exciting adventures - he is super soft and ideal for cuddles. There are hundreds of Moshlings to play with in the online game and now you can have your favourite characters at home too. 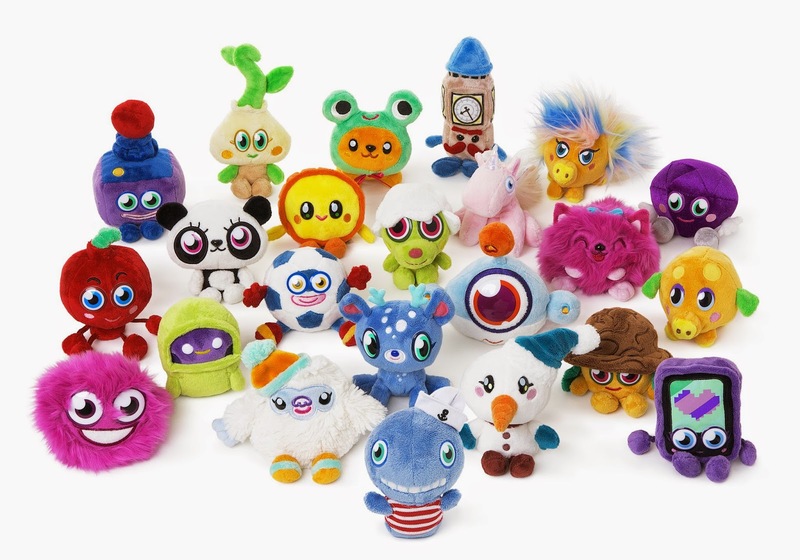 Each 4" soft toy comes with a name tag and personality profile to teach your child more about each one, plus a unique code to enable your child to unlock even the most rare the digital version at MoshiMonsters.com! They are a great price and size for Christmas stockings similarly to the Tatty Teddy & my Blue Nosed Friends toys. 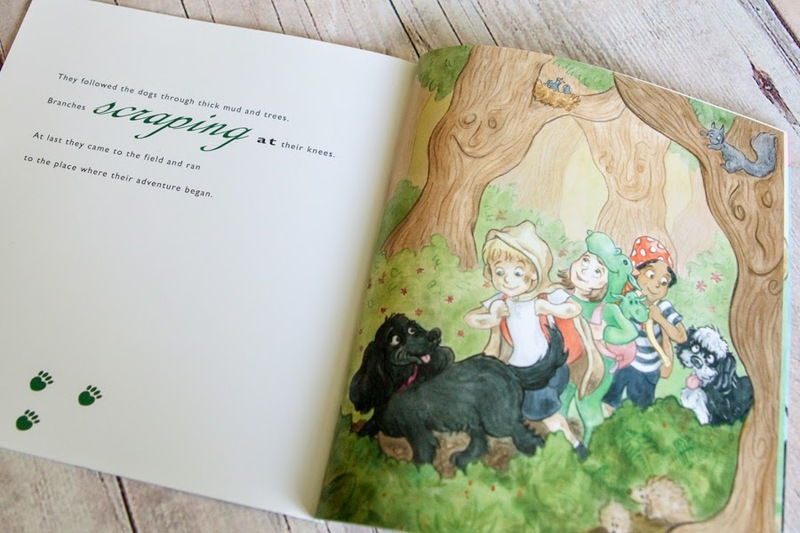 Each blue nosed character is based on an animal with Sahara the Scorpion, Spartacus the Labradoodle, Scamp the Gerbil and Sasha the Moth being some of the latest from the range. What will you be getting your children this year? Love your picks. Especially the Ray of Sunshine Mugs. Always good to help a cause!